The arrest of Debs came about because of a series of speeches he had given where he condemned the US involvement in World War I. 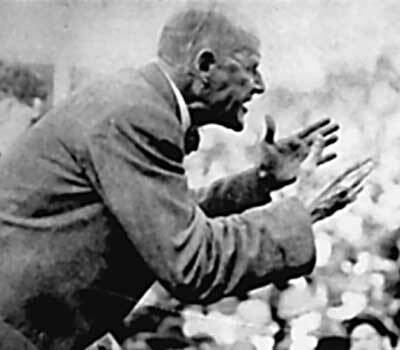 On June 16, 1918 Debs gave a speech in Canton, Ohio where he lambasted the war. Debs was speaking in public on June 30, 1918 in Cleveland at meeting of Socialists, again denouncing the war. It was right after this meeting that Debs was arrested and charged with sedition and violating the Espionage Act, which essentially made it illegal to publicly condemn the war. During his trial Debs chose to represent himself and refused to call any witnesses saying, “I have been accused of obstructing the war. I admit it. I abhor war. I would oppose war if I stood alone.” Debs was found guilty and sentenced to 10 years in prison. While in prison Debs ran as a Presidential candidate for the Socialist Democratic Party in 1920 and despite being in prison he received nearly a million votes. World War I eventually ended, but President Wilson chose not to pardon Debs, but Warren G. Harding finally let Debs go on Christmas Day of 1921. However, the White House made it clear that they were not pardoning Debs, they still believed he was guilty, but released him because he was an old man in not in good health. When Debs returned to his hometown of Terra Haute, Indiana he was greeted by 50,000 people. Debs died in 1926 at the age of 70, but his legacy lived on in the countless people who have resisted war in the US ever since. 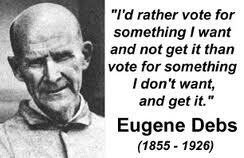 If Debs were alive today he would condemn the ongoing US wars of conquest in Iraq, Afghanistan and Libya. Debs would not only see these wars as wars of conquest he would acknowledge that they were wars that benefited Wall Street and he would call upon working class people to not fight in wars that served the rich.